Virtually all major carmakers in Europe, in the United States and elsewhere are trying to remake themselves into “mobility companies” that do more than just mass-produce vehicles. But it is still an open question whether traditional automobile manufacturers can be as agile and technologically savvy as Silicon Valley companies, like Uber and Google, that are trying to change the very meaning of car ownership — and often have much greater financial resources. One of Daimler’s Car2Go vehicles in Brooklyn. It has a fleet of 14,000 in North America, Asia and Europe and claims to be the largest flexible car-sharing service in the world. Thus far, old-line car companies have struggled to make money with new services like car sharing. 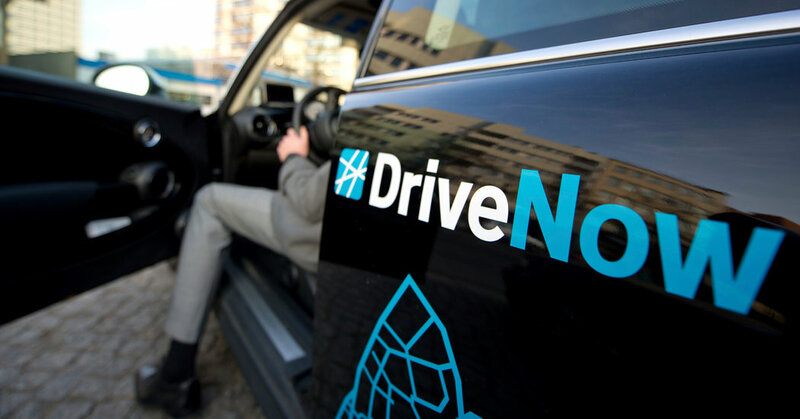 DriveNow, a car-sharing business offering a fleet of BMW and Mini cars for customers in Europe, lost 34 million euros, or $42 million, on sales of €142 million in 2017, according to BMW’s annual report. By putting aside their longtime rivalry and merging their digital operations, BMW and Daimler hope they will be in a better position to compete with companies like Zipcar, a unit of Avis Budget Group that is the largest car-sharing service in the United States, as well as bigger threats like Uber. The two companies did not disclose the financial terms of the deal. Both said the merger, which must be approved by regulators, will have a slight positive effect on 2018 earnings. ■Daimler’s Car2Go, which has a fleet of 14,000 vehicles in North America, Asia and Europe and claims to be the largest flexible car-sharing service in the world. Combined, Car2Go and BMW’s DriveNow will have four million users, the companies said. ■ BMW’s ParkNow service, which helps users find free on-street parking and spaces in paid parking lots. ■ BMW’s electric car charging network, which via partners covers 143,000 charging points worldwide. ■ Ride-hailing services including Daimler’s MyTaxi, an app that allows users to order and pay for registered taxis. The app is popular in Europe, where many cities do not allow Uber and other ride-hailing services.